Tamara Tunie never does anything by half measure. From her starring roles in films such as FLIGHT with Denzel Washington, 18 seasons on LAW AND ORDER: SVU, lead roles in AMC’s DIETLAND, Netflix’s BLACK EARTH RISING and in the Sundance Channel series THE RED ROAD, to roles in the theater, like Prospero in THE TEMPEST, Sharon in THE ROOMMATE, Calpurnia in JULIUS CEASAR , and Michelle in DREAMGIRLS; or as the Tony Award winning producer for SPRING AWAKENING. And when she reignited her singing career at FEINSTEIN’S in NYC just after Hurricane Sandy, one critic wrote, “Tamara Tunie restored the sparkle to New York City and gave the definitive answer “YES I SING”. Another critic wrote “She’s a song stylist who’s comfortable singing everything from Chuck Mangione’s “Land of Make Believe” to Victor Young and Jack Elliot’s “A Weaver of Dreams”. There was “Standing Room Only” at the end of the Feinstein’s run, despite a New York City still reeling from the hurricane. Her previous show, “Legends from the Burgh”, at NYC’S 54 Below found her “singing to packed standing room only crowd where she not only sang an unforgettable evening of jazz, but gave the audience a noteworthy history lesson.” Two years ago, she brought that eveing of music to CITY THEATRE COMPANY, right here in the Burgh! 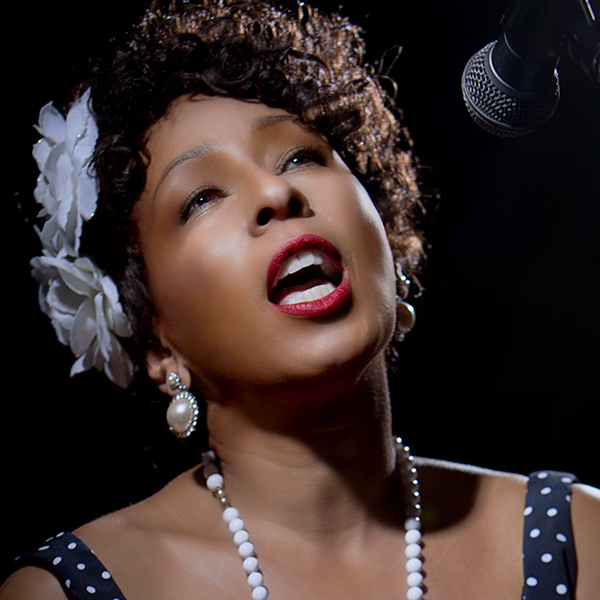 Having studied classically and with a BFA in Musical Theatre from Carnegie Mellon University, Ms. Tunie added jazz several years ago and has performed at the legendary ALLEN ROOM at JAZZ AT LINCOLN CENTER. The JazzStudio is a pop-up jazz club, and intimate setting reminiscent of the great jazz clubs from Pittsburgh to New York. This year at Pittsburgh International Jazz Festival, we feature two incredible vocalists and their bands. Tamara Tunie CD Release, and the Paul Jost Quartet.